An Award Leader Training Workshop was organised on 20th - 21st April, 2018 at Jodhamal Public School, Jammu. The workshop was attended by 20 participants from Apeejay School, Jallandhar; K.C. International School, Jammu; Jodhamal Public School, Jammu; Govt. High School, Deeli, Jammu; Govt. Middle School, Khokhyal, Kathua; Jammu Sanskriti School, Jammu and Banyan International School, Jammu. The workshop started with a session on introduction and expectations. There were sessions on Framework and Philosophy of the Award, followed by the four pillars of the Award, Residential Project, Risk Management, Benefits of Award, Brand Pack and ORB. The workshop was led by Kapil Bhalla (National Director), Bivujit Mukhoty (Programme Manager), Priyank Kumar Gupta (Head IT and ORB) and Pallavi Gill (Member, National Training Panel and India Youth Rep). NAA would like to thank Nandan Kuthiala, (Trustee, Rai Bahadur Jodha Mal Kuthiala Trust) and Trilok Singh Bist (Principal, Jodhamal Public School, Jammu) for their support. The National Award Authority conducted a series of ORB Next Generation workshops across the country. Ms Sanzeeda Ali, the Regional Manager - Asia Pacific, The Duke of Edinburgh’s International Award Foundation, delivered the workshops at New Delhi, Mumbai, Nagpur, Hyderabad and Kolkata. The ORB Training workshops were designed to give the participants in-depth knowledge about the new digital tool, ORB Next Generation. During the training Sanzeeda showed each process step by step, starting with registering a unit, registering Award Leaders and ending with the participants' Sign-Off. During the sessions, Sanzeeda encouraged the participants to work and feel the new version of the tool through the web interface and mobile apps for Participants and Award Leaders in the test environment, before logging into the live environment. These workshops received a great response. The Mohali workshop was attended by 7 participants; the Dehra Dun workshop was attended by 6 participants; the Phagwara workshop saw 15 participants; the Jammu workshop had 22 participants; the Bangalore workshop was attended by 14 participants and the Chennai workshop was attended by 14 participants. We hope that these digital tools workshops will help the Award Leaders and Volunteers take the Award to the next level in the new digital environment. The Award Programme Foundation thanks Sanzeeda Ali, Regional Manager - Asia Pacific, The Duke of Edinburgh’s International Award Foundation. During her visit from 11th - 24th April 2018 Sanzeeda delivered training sessions on ORB Next Generation at Award Training Centre, New Delhi; YMCA Centre, Mumbai; Centre Point School, Nagpur; The Hyderabad Public School, Begumpet, Hyderabad; La Martiniere for Girls, Kolkata; Vivek High School, Mohali; The Doon School, Dehra Dun; Cambridge International School, Phagwara; Jodhamal Public School, Jammu; Oakridge International School, Bengaluru; and Lalaji Memorial Omega International School, Chennai. The Award Programme Foundation strongly believes that Sanzeeda's expertise will enrich the Award Leaders and Volunteers and equip them to use the digital environment for spreading the Award's ethos. The Award Programme Foundation wishes to thank all the Award Leaders, Volunteers and Authorities of the institutions who were present for this new initiative and helped us to conduct these training workshops. The National Award Authority is conducting a series of ORB Next Generation workshops across the country. Ms Sanzeeda Ali, the Regional Manager - Asia Pacific, The Duke of Edinburgh’s International Award Foundation, has delivered the workshops at New Delhi, Mumbai, Nagpur, Hyderabad and Kolkata. The ORB Training workshops have been designed to give the participants in-depth knowledge about the new digital tool, ORB Next Generation. During the training Sanzeeda showed each process step by step, starting with registering a unit, registering Award Leaders and ending with the participants' Sign-Off. During the sessions, Sanzeeda encouraged the participants to work and feel the new version of the tool through the web interface and mobile apps for Participants and Award Leaders in the test environment, before logging into the live environment. These workshops received a great response. The Delhi workshop was attended by 18 participants from 8 institutions; the Mumbai workshop was attended by 8 participants from 5 institutions; the Nagpur workshop saw 16 participants from 1 institution; the Hyderabad workshop had 22 participants from 2 institutions; and the Kolkata workshop was attended by 22 participants from 11 institutions. Further trainings will commence at Chandigarh (18 April), Dehra Dun (19 April), Phagwara (20 April), Jammu (21 April), Bangalore (23 April) and Chennai (24 April). You are welcome to be a part of any of the workshops. Award participants of Delhi Public School Megacity, Kolkata took part in a Campaign on Health and Sanitation. 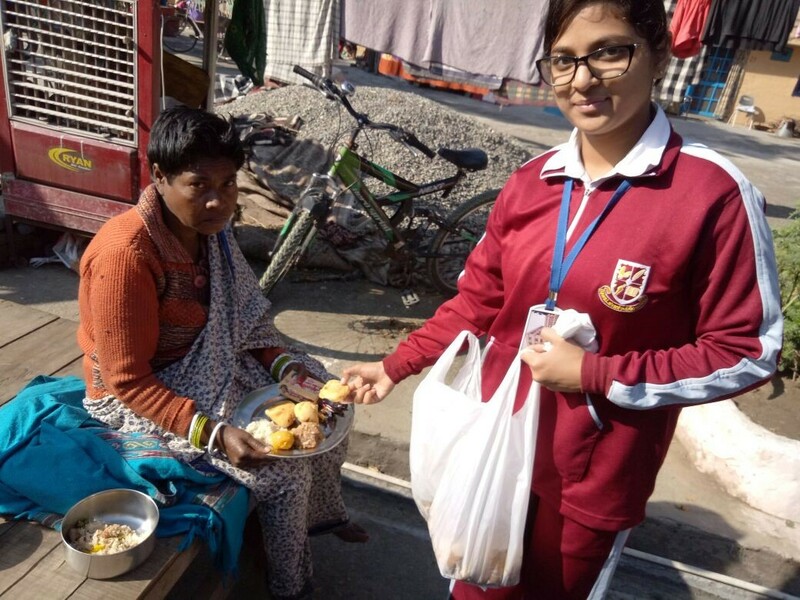 A brief report from Atanu Chatterjee, Award Leader. As a part of the social initiative project, DPS Megacity is in the process of adopting a village nearby. We started with the donation of articles and food-grain to the village. The Award participants felt an urgent need of toilets there and conducted an awareness programme on health and sanitation with the local people, where the basic importance of cleanliness and how they can keep themselves and their surrounding clean was demonstrated and discussed. The Award participants are now in the process of building a toilet there too for proper and sustained sanitation. Award participants from Bawa Lalvani Public School, Kapurthala visited and offered their services at the Kusht Ashram (Leprosy Home) in Kapurthala. Below is a report from Ms Ekta Dhawan, Principal, Bawa Lalvani Public School, Kapurthala. 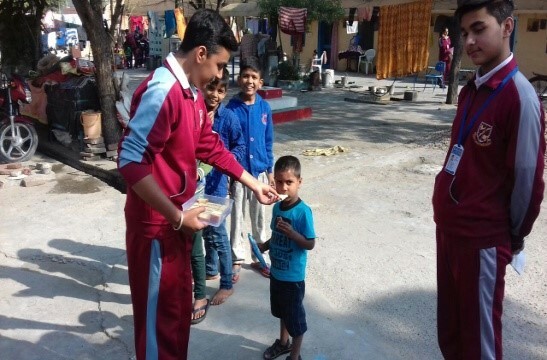 Award participants of Bawa Lalvani Public School, through their Award routine at school, are committed to serving society. 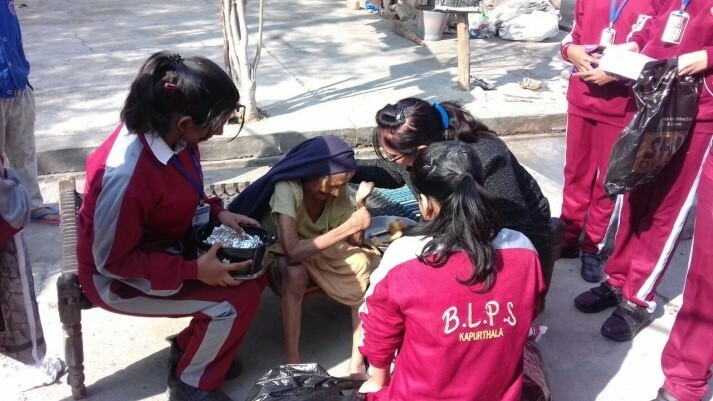 The BLPS Award volunteers remain on their toes to work towards the noble cause of community service, i.e., lending a helping hand to leprosy patients. 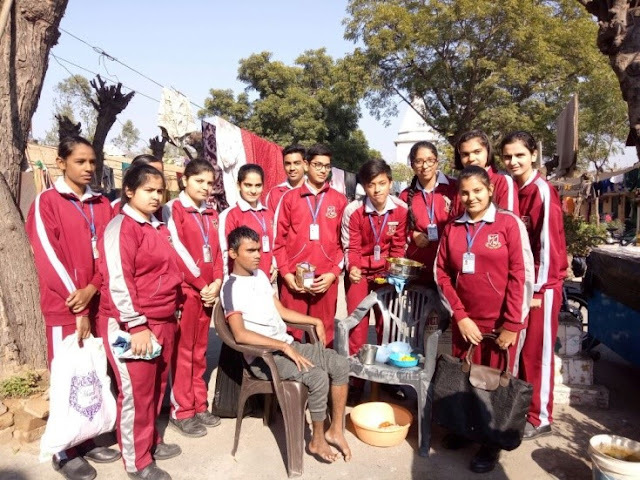 In this Academic Year session 2017-2018, the team adopted "Kusht Ashram" (Leprosy Home). 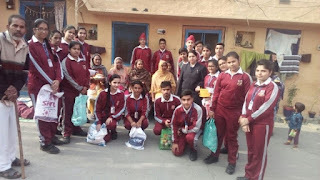 The Bronze and Silver Award participants have been assigned a facility in the Kusht Ashram and each student is individually responsible for the upkeep of the earmarked space. 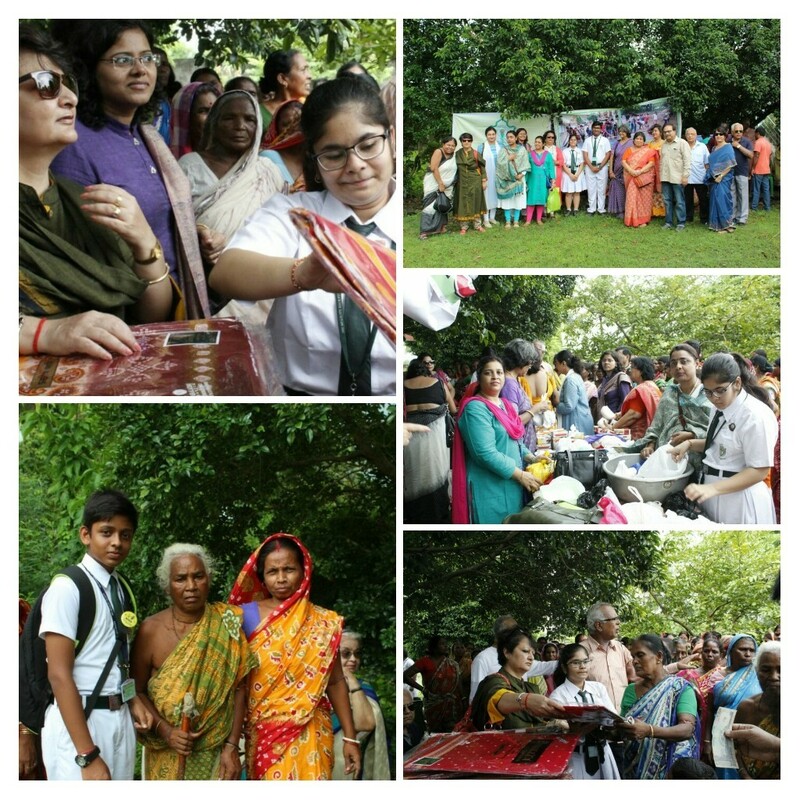 The participants have made it their mission to cater to the well being of the residents of the Ashram; this is an endeavour to make them feel a part of the general population and 'wanted' in society. 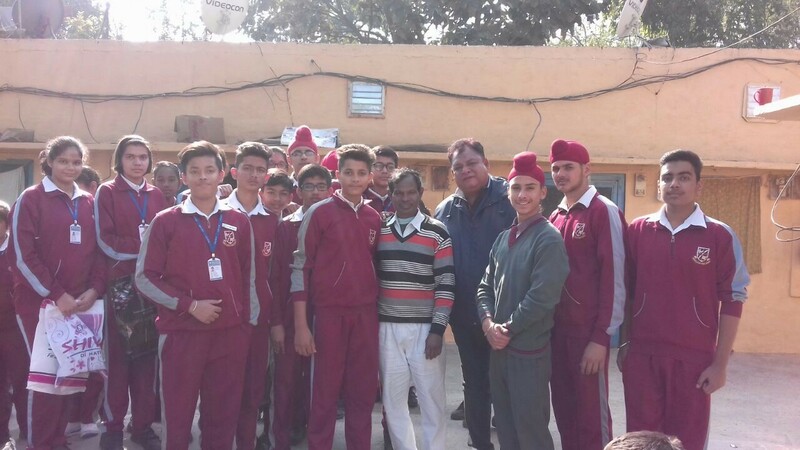 The official caretaker at the Khusht Ashram, Shri Keshav Pandit, informed the IAYP Team that the residents being cared for come from within India and also from Nepal and Bhutan. This effort has brought about a sense of maturity and compassion and, further, has had a very positive effect on the personality of the participating students.